Buy Lee a coffee. ko-fi.com/leedlelee - Ko-fi ❤️ Where creators get paid by fans, with a 'Buy Me a Coffee' button. 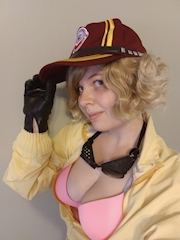 Cosplayer, voice talent, author of both fan and original fiction. Every donation goes towards helping me move out, get better recording equipment, and better cosplay material!